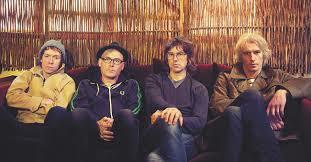 Sloan is a Toronto based rock band that’s been around since 1991. The quartet has had the same four member intact throughout their glorious career. The band has released eleven studio albums, including the most recent 2014 offering Commonwealth. Sloan has enjoyed most of their success north of the boarder and is regarded as one of the greatest Canadian rock bands of all time, who knew?